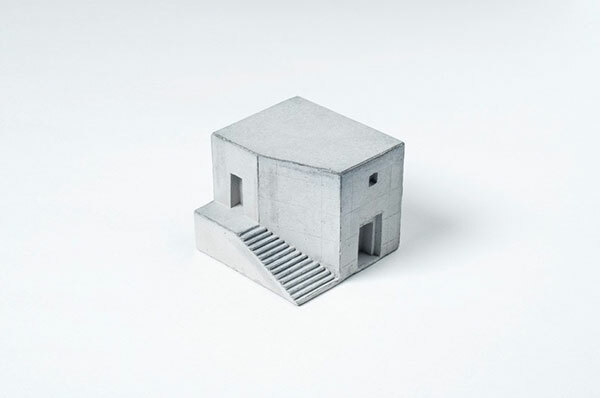 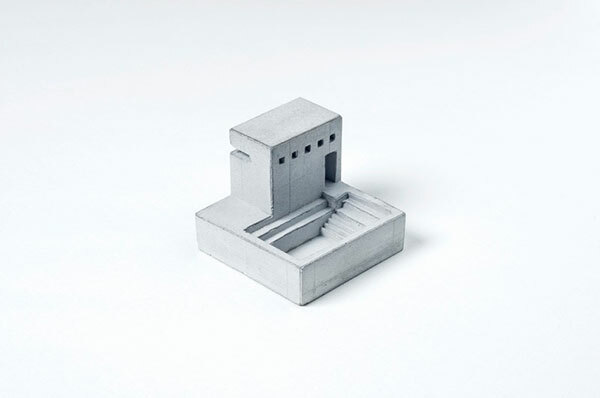 A set of miniature, concrete buildings that you can put on your desk by experimental design studio Material Immaterial. 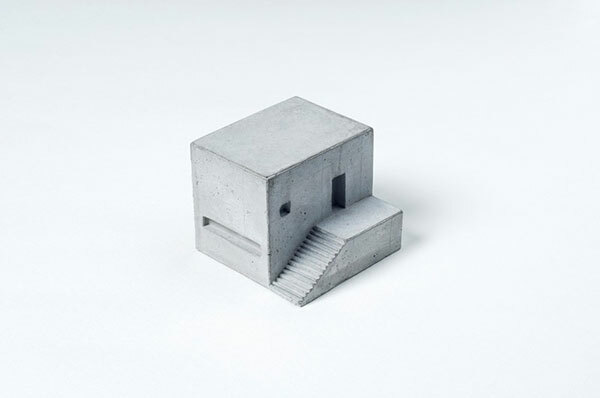 Inspired by renowned architects such as Le-Corbusier, Frank Lloyd Wright, Oscar Niemeyer, and Tadao Ando for the use of the material in their buildings, the pieces celebrate the beauty of concrete and are meant to evoke the imagination of the viewer. 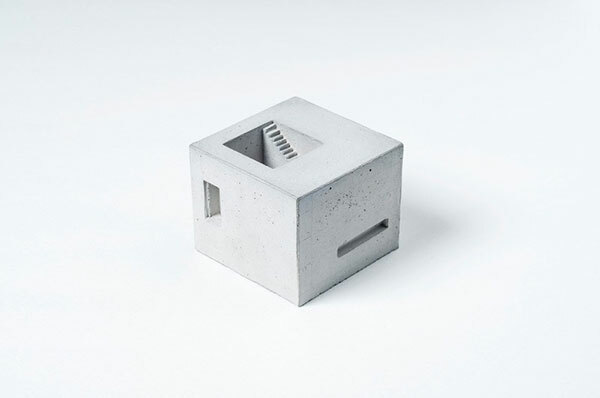 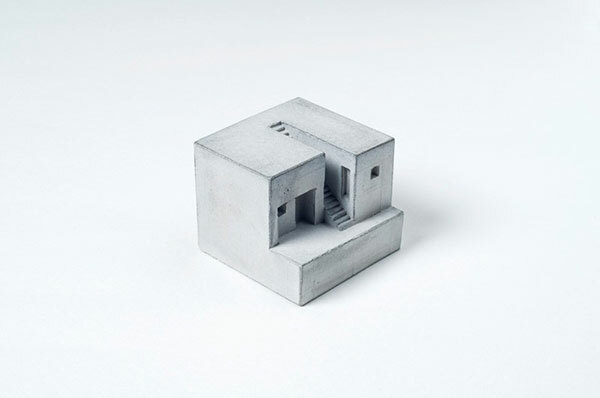 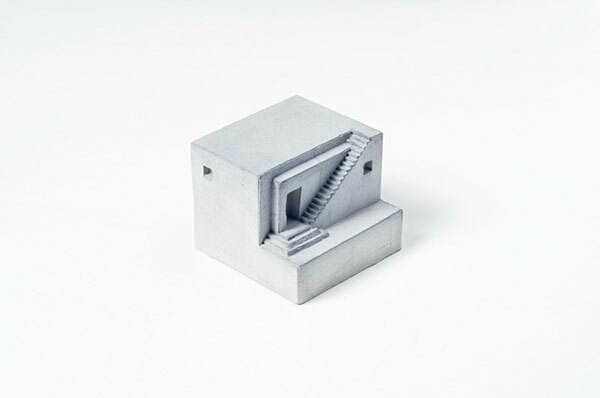 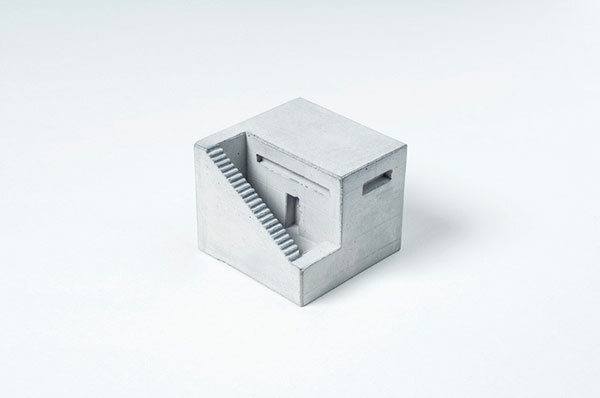 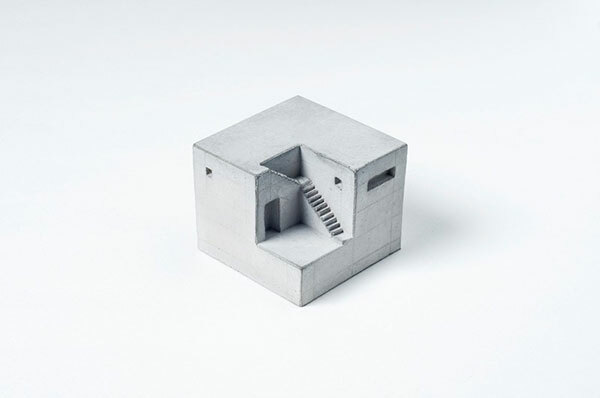 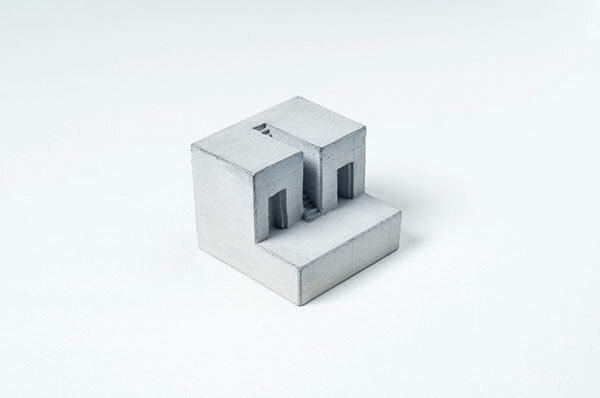 We at the Material Immaterial studio have conceived these miniature concrete pieces that we fondly call Spaces to advocate and celebrate concrete's beauty efficacy and its incalculable contribution to creating and defining spaces in the modern life. 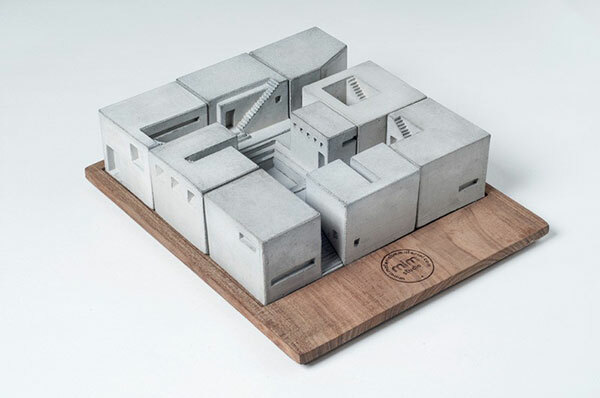 Each piece is an individually complete space defined by volumes and voids that give the human imagination a glimpse into what could be lying inside. 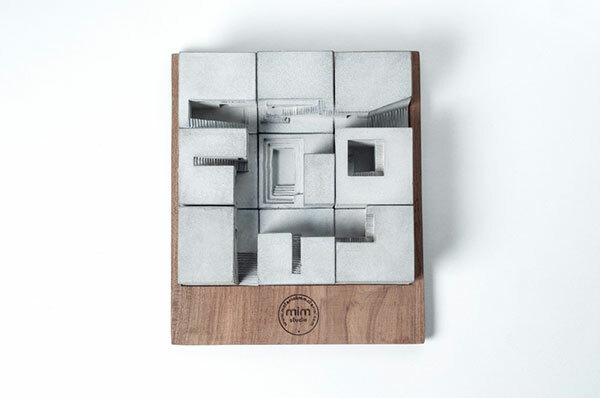 The nine pieces from this first set can be put together around the central "Kund" to create a community space.